Outside of playing Luke Skywalker in the Star Wars franchise, The Joker is perhaps the character that Mark Hamill is best known for. After voicing the villain to much critical acclaim in Batman: The Animated Series, he’s reprised the role on almost countless occasions, including in the popular Arkham series of video game. Despite talking about retiring his Joker numerous times in the past, Hamill’s iconic voice will next be heard in Batman: The Killing Joke, an animated movie from Warner Bros. which has been given an R-Rating and is even being released into theaters for one night only. You might think that a release like this would give Hamill a good jumping off point, but answering fan questions on Twitter earlier today, he confirmed that he has no plans to give up playing the Clown Prince of Crime in the near future. Based on the way the question was worded, Hamill could just be telling them what they want to hear, but hopefully that’s not the case. 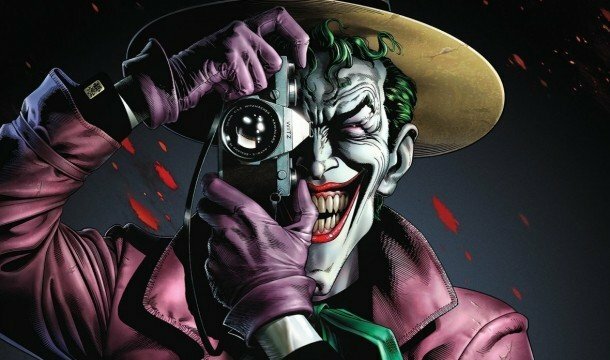 Batman: The Killing Joke adapts the famous comic book story by Alan Moore and Brian Bolland. Believed to be the definitive Joker story by many fans, it will be interesting to see how the animated movie handles the very dark story, which has proven to be particularly controversial due to the way it treated Batgirl. Tell us, are you looking forward to hearing Hamill reprise his role in the new DC animated film? Sound off below and let us know.